While it can certainly be tempting to try to save money by hiring a cheaper contractor or using lower-quality materials, it can often come back to bite you. As the saying goes, you get what you pay for. In a room like a bathroom, which will be dealing with a lot of moisture and get a lot of use, it is important to make sure you use quality materials, and find someone who knows how to install those materials correctly to ensure your bathroom stands the test of time. While it may be due to your design choices and simply be an unavoidable cost, one thing that a lot of people neglect to consider is the cost of moving around your fixtures, like the shower and sink. This causes you to have to re-rout your water lines which is where things get pricey. This alone can add thousands of dollars to your bathroom remodel’s cost. 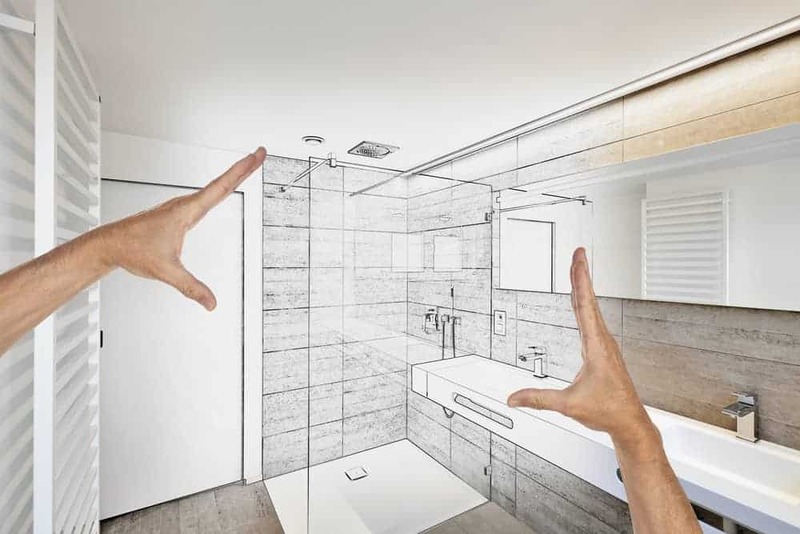 To save money, be sure to at least plan your design around your existing water lines, even if you change decide to put the your new shower where the old sink was. Your bathroom is a place that will be lived in. It will be messy and chaotic. Therefore, it can often be beneficial from an aesthetic point of view to make sure your bathroom has some order to it. Whether you want to go for a modern, minimalist design or something more artistic, adding a sense of continuity to your bathroom can help you start your morning off on the right note. It is important to install a ceiling fan in your bathroom to help clear out the condensation that forms in your bathroom during a hot shower. Poor ventilation can lead to both bubbling paint in your ceiling and walls, as well as mold growth, both of which are issues that need to be addressed promptly. To help avoid these problems, be sure to install a quality ceiling fan. Cutting costs on your fan can leave you with a fan that doesn’t actually help with your ventilation at all. If you follow these tips, you will save yourself money and headaches on your bathroom remodeling project! For more help, reach out to Ryann Reed Design Build at (215) 372-0040 or fill out our online contact form today!